In the first days of the EAF, It relied heavily on second hand British fighters like the DH-60 Moth and Avro-625. Although the figure changed before world-war II when Britain supplied Egypt with 2 squadrons of Gloster Gladiator MK-I fighters the EAF still didn’t have advanced newly built fighters and by the end of world-war II the EAF had large number of obselete second hand aircraft, most of them were out of service. But in 1949 Egypt received its first batch of jet fighters and this was the first newly built fighter for the Egyptian Air Force. In the following years there was discussions about license building of Vampire FB-5 fighters in Egypt. 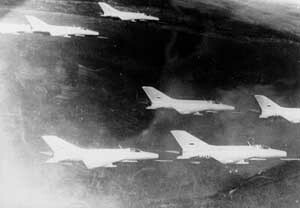 After 1952 revolution Egypt began a large program to rebuild its Air Force and it purchased new Soviet built aircraft like the Mig-15 fighters and Il-28 bombers. For the next 2 decades Egypt only source of weapons was the eastern block. 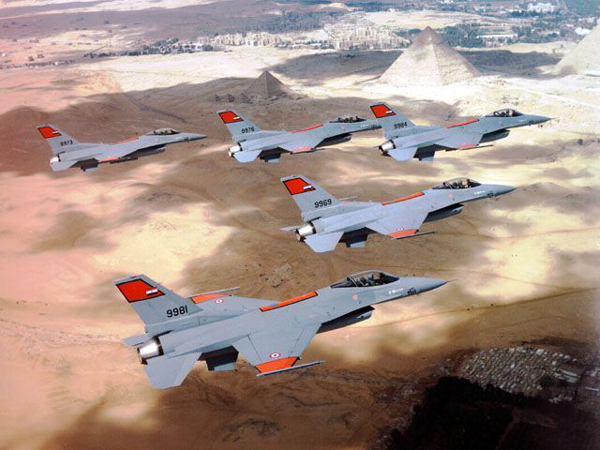 The experience gained during war with Israel taught the EAF that quality is more important than quantity therefore Egypt began another large modernizing program to introduce western technology to the Egyptian Air Force and its first step was purchasing Mirage-5 fighters from France and now the EAF is using the top gun fighters like the F-16 and the Mirage-2000.